We add the Bernanke-Gertler-Gilchrist model to a world model consisting of the US, the Euro-zone and the Rest of the World in order to explore the causes of the banking crisis. We test the model against linear-detrended data and reestimate it by indirect inference; the resulting model passes the Wald test only on outputs in the two countries. We then extract the model’s implied residuals on unfiltered data to replicate how the model predicts the crisis. 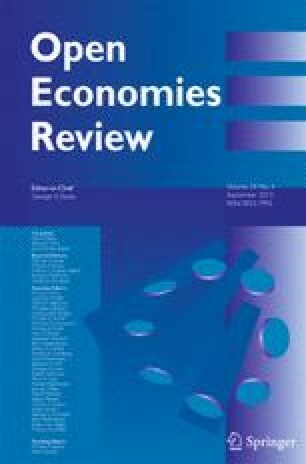 Banking shocks worsen the crisis but ‘traditional’ shocks explain the bulk of the crisis; the non-stationarity of the productivity shocks plays a key role. Crises occur when there is a ‘run’ of bad shocks; based on this sample Great Recessions occur on average once every quarter century. Financial shocks on their own, even when extreme, do not cause crises—provided the government acts swiftly to counteract such a shock as happened in this sample. Tamas Csabafi provided research assistance for which we are grateful. Zhirong Ou also sends his special thanks to Hangkin Hui for helpful discussions.